Flight time 2hrs 30mins from London. 8hrs from NYC. It’s no secret that Europe is home to some of the trendiest cities in the world. But which do you go for? Traditional Stockholm? Chic Copenhagen? Arty Berlin? Well, how about all three? Spend six days hopping between some of Europe’s hippest hot-spots, staying in some of our favourite hotels along the way. Together with some expert guides, we’ll whisk you to the hottest galleries and museums, before booking you into the most A-List restaurants for some of the most inventive cuisine around. As diverse as they are trendy, each of these capital cities has a truly unique vibe with something special to offer around each cobbled street corner. Your six-night cultural jaunt gets underway in Stockholm where, even though you’ve only just left, you’ll immediately feel at home again. Check into Ett Hem, literally meaning ‘a home’ in Swedish, and curl up in front of the fireplace as staff embrace you like family. On the corner of a quiet residential street and neighbourhood park, Ett Hem is the perfect place to escape the hustle and bustle of the city. But just walk 15 minutes or so, and you’ll find yourself in the middle of all the action. For the fashionistas amongst you, Biblioteksgatan is a must. Lined with tempting boutiques, stocked with cutting-edge Scandi labels, it is the place for a wardrobe refresh. Tomorrow, see Stockholm the Black Tomato way with a stroll through the trendy Södermalm neighbourhood (or Söder as the locals call it). Discover the city’s bohemian district with its myriad of eclectic boutiques, design shops and, of course, hip cafes, before hopping over to the peaceful island of Skeppsholmen to check out the Moderna Museet, featuring works by Picasso, Dali and Matisse. Then, for a spot of dream house decor, head to the incredible design store of Svenkst Tenn. Famous for its elegant and bold designs and impeccable craftsmanship, you’ll be redecorating your home in a heartbeat. In the evening, you’ll get a literal taste of Stockholm as you wander through Gamla Stan old town, stopping for a traditional dinner of kötbullar (that’s right – meatballs) at local favourite, Prinsen. Tomorrow, it’s off to Copenhagen. Home to some of the best design museums and a world famous foodie scene, no foray into European culture would be complete without a stay in Copenhagen. Nestled within the mesmerising Tivoli Gardens, the magical Nimb Hotel is the perfect base from which to get to know this charming city. Just a short stroll away, you’ll find the Danish Design Museum, where, in true Scandi-style, exhibitions focus on a nuanced take on ‘good design’. From there, get your tastebuds warmed up at the market stalls of Torvehallerne. A big hit with the locals, dig into a bowl of GRØD (porridge as you’ve never seen it before) and see what all the hype is about. Be sure to save room for dinner though; a Black Tomato favourite, expect the unexpected at BROR, where alumni from world famous Noma will leave you spellbound with an ever surprising take on Nordic cuisine. Copenhagen may be beautiful – but so is its coastline. 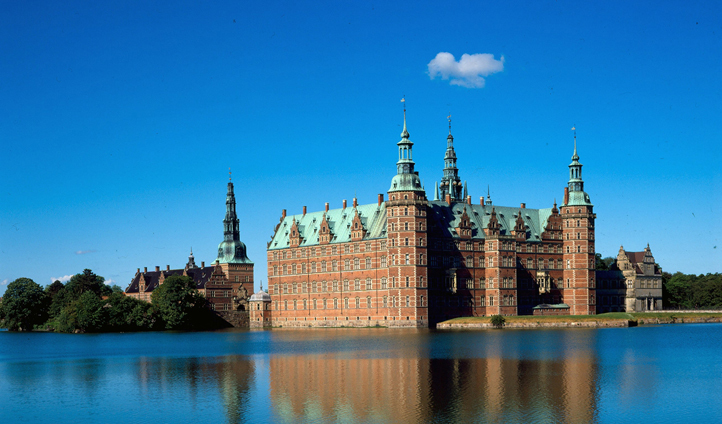 Tomorrow, you’ll visit Kronborg Castle which stands proud over the gorgeous Danish Riviera. Immerse yourself in the tales of a castle home to Shakespeare’s Hamlet and the mythical Holger Danske, who sits atop a stone throne as Denmark’s fearsome protector. Then, from fairytale castles to modern art, you’ll marvel at modernist classics and lose yourself in the sculpture garden of Louisiana Museum of Modern Art. Whilst for a kick of tradition, you’ll visit PP Mobler for a furniture masterclass that harks back to days of old. Finally stop for gas at Skovshoved. Far from just any old petrol station, Arne Jacobsen’s ‘The Mushroom’ has now become a national architectural monument. Having worked up an art-fuelled appetite, return to the hotel and enjoy dinner that evening at Nimb Brasserie, where classes Nordic cuisine is given a French twist. Berlin. Your final stop on this cultural whirlwind and one of the most innovative cities in the art world. From the walls of your hotel to quaint cafes and hidden galleries – art is never far away. Das Stue, meaning ‘living room’ in German, will be your home away from home here. Resplendent in bespoke furnishings and an amazing art collection, it would be quite easy to simply spend your days exploring the hotel. But trust us, there’s a whole lot more to see, so head out for lunch at Paris Bar; a staple amongst the art scene, artwork covers just about every inch of wall space. From there, Bauhaus Archiv is a must for an introduction to one on the most dominant trends in German design. In the evening, we’ll switch things up with some edible art in the form of the avant-garde molecular cuisine of Michelin-starred Cinco. For an arty finish to your trip, the next morning you’ll head to Hamburger Bahnhof where Berlin’s former central station has been transformed into a beautiful exhibition space, featuring works from Andy Warhol and other contemporary artists. 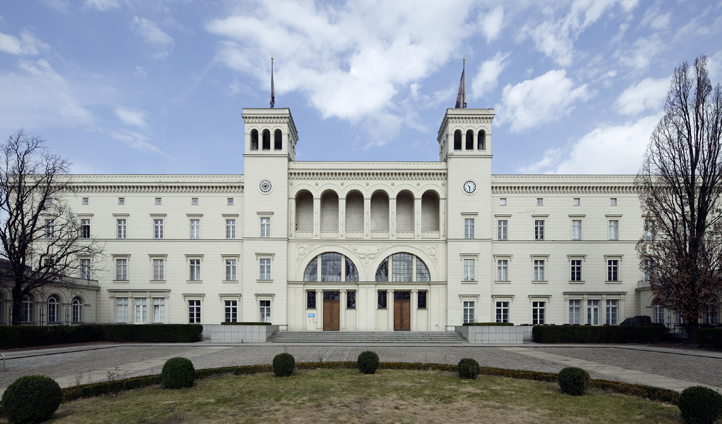 Then, from a former station to a former WWII bunker, you’ll stop off at the Sammlung Boros Collection in the afternoon. A gallery with a history as fascinating as the pieces it houses, it’s the perfect place to end your cultural escapade. We couldn’t let you leave without one last dinner though; serving gourmet vegetarian dishes, the hidden gem that is Cookies and Cream is the place to see and be seen. If this trip doesn’t have you returning home to redecorate your home, refresh your wardrobe and reinvent your dinner party menu – it hasn’t done it’s job. So, you’ll just have to come back.